Yet another wonderful day on Skomer Island. A slight delay gave us time for a walk on the Deer Park, and it proved to be a blessing – a Marsh Harrier flew south, a Chough performed superbly and a pod of Common Dolphins (not often you see them close to the mainland) breached repeatedly to the north of Jack Sound. Onto to the island and the fun continued, with both Short-eared and Little Owls seen well before we took elevensies at Skomer Head. Peregrine followed before lunch at the farm, and then it was time to enjoy the seabirds at the Wick, High Cliff and finally at North Haven. And not a drop of rain! 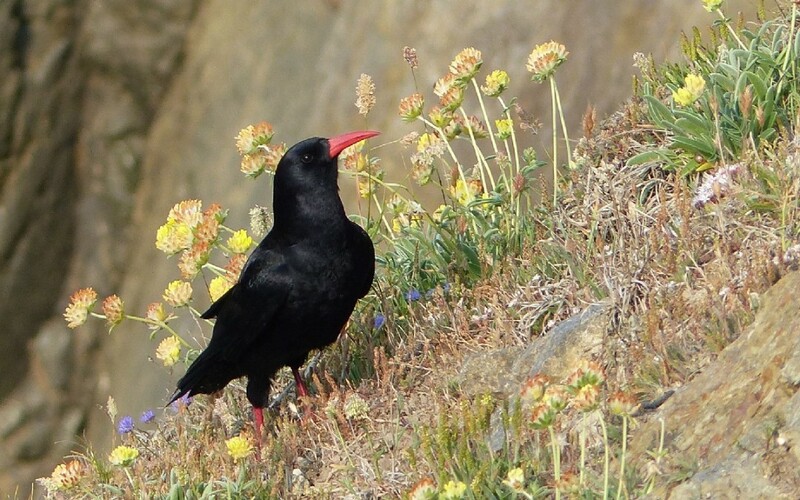 The day trip bird list for the 3 trips so far in 2016 can be seen here: 2016 Skomer Special Day Trips Bird List. For a selection of photos from the day please click on the gallery.